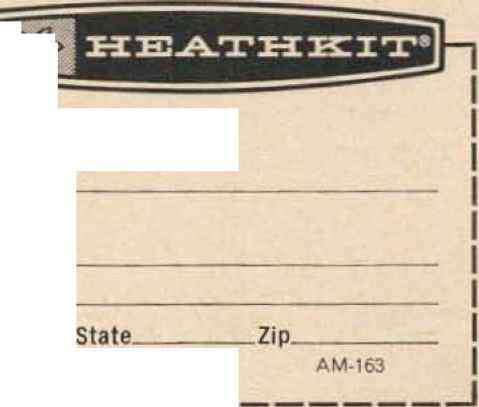 Please send model(s) □ Please send free 1966 Heathkit Catalog. Occasional cryptic mention has been made recently in 73 of the Texas Instruments 2X3823, an \~-chamiel fiekl-eflert transistor capable of excellent RF amplifier and mixer operation to 500 mc. This article will describe the advantages, disadvantages, and applications of this and similar devices for amateur use. The operation of the FET has been described by WA6I1SO (73, December 1965), Electrically it is similar to a vacuum-tube pei -tode, with high input and output impedances. The greatest advantage of the FET over tubes and transistors for RF use is its virtual immunity to cross-modulation—amplitude modulation ot a desired signal by a strong interfering signal at an unrelated frequency* sometimes known as "riding in." Transistors are notoriously susceptible to this sort of interference. As long as the gate of the FET is neither driven sufficiently positive to conduct nor so far negative that the FET cuts off, the cross-modulation will be negligible. In practice the 2N3823 will handle interfering signals up to several tenths of a volt rms before cross-modulation of weak signals becomes even measurable. Jack is now a student at Stanford working on his MSEE; he formerly was with 77, where he worked on I he development of the 2N3S23. 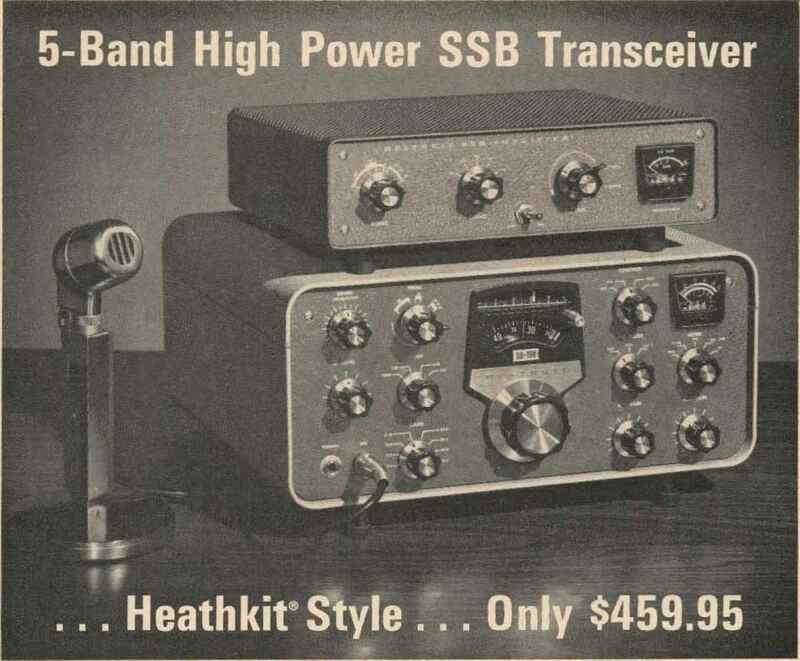 high-frequency limit of the device, is 4.5 db. However, there are transistors available that will do as well as this and which cost considerably less. The FET will not be particularly resistant to intermodulation interference—the mixing of two strong signals to cause an interfering signal at the sum or difference frequency. This sort of interference is less ot a problem because it occurs at specific frequencies, rather than everywhere in a band. In this respect the FET is neither much better nor much worse than tubes or transistors.